"A Cessna 170 (taildragger) ground looped in a 100 degree (read 'tailwind') crosswind of 21 knots gusting to 24." As I have continued studying techniques, I understand that, with a 3 point full stall landing, the stick should be held all the way back on roll out to reduce the chance of ground loop, secure the tailwheel to the ground, and provide aerodynamic braking. Sounds good. And with my total tailwheel landing experience of ONE, it works. BUT, landing with a 21 knot tailwind seems to change all that. So, to my thinking, if doing something like this, not recommended, would easing the stick FORWARD as ground roll speed decreases minimize the chance of the tailwheel rising (due to the tailwind) and possible subsequent loss of direction control? I would further guess that some serious right stick (right wing up aileron) action would be crucial as well - or maybe not? First, a in a 100º crosswind, only a tiny, tiny bit is tailwind component. But, yes. Stick full back in a "full stall" landing. But at some point while slowing down, the plane switches over to taxiing, and with a tailwind exceeding taxi speed, forward stick will hold the tail down. 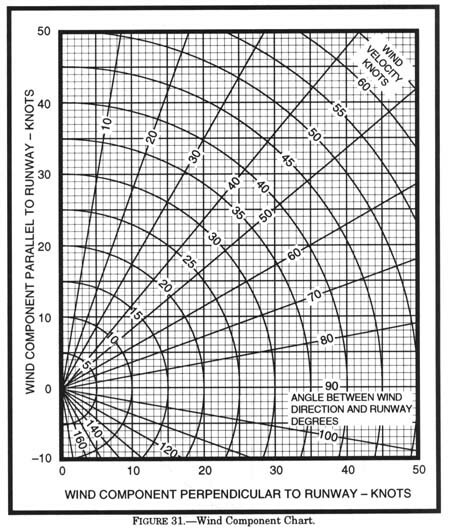 A 100° crosswind at 21 knots would have had a crosswind component of almost 21 knots and a tailwind component of around 4 knots. I think the crosswind was the determining factor in the ground loop. Based on personal experience I don't think elevator positioning would make much difference with a 4 knot tailwind component. I never bought into the ‘x-wind = wheel landing’ concept... As you slow down your controls become less effective but the wind is blowing just as strong as it was when you burned it on with a 100 knot wheel landing. One way or another you always end with a three point. Never had the wind lift my tail from behind. Wind came up while I was flying once. Landed cub across the runway and taxied with tail up (wheel taxi?). Had to get the wings tied before I could shut down. But even with that. I have never really taxied downwind that often while in a taildragger with a strong tailwind. In a trike, never had the tail show any signs of lifting even with full up elevator. I usually hold neutral in that case. I would be curious what experances others have had with tailwind taxi? I know someone who had a clipped wing Taylorcraft go up on its nose due to taxiing downwind with the stick aft. Just as he arrived back at the airplane with help another gust put it on its back. It was in need of restoration, and that put the nail in the coffin. I have heard of Tri Pacers tipping due to the same. I wound up doing the restoration on the clipped "T" after the incident. I was able to fly the airplane some after the restoration, what a fun ride.